Dr Gan Joo-Ee, Senior Lecturer at the School of Business takes us deep into a forest reserve in Perak, where she is currently conducting research on governance and conservation. My research takes me to Belum-Temengor forest reserve in Perak. The location is not easily accessible – a five-hour drive northbound from Kuala Lumpur gets you to Gerik, the nearest town. To enter the forest reserve, however, you’ll need a boat ride. And if the Royal Belum State Park (Royal Belum) is your destination, prior arrangement should be made with a forest guide, to obtain a permit that gets you past two checkpoints – that of the Malaysian Armed Forces and the Perak State Parks Corporation (PSPC) respectively. From frequent trips, I could identify the main islands in Lake Temengor that were once mountain peaks, before the area was flooded for the construction of hydro-electricity dams. The boat driver, the same guide I engaged since my first trip to Belum-Temengor in 2015, slowed down, so that I could take a better look at this 130 million year old rainforest ecosystem. “Can all of these last?” I asked myself, as we passed a house-boat resembling a double-decker bus on water, with twenty or more tourists on board. Conservation is strong in Royal Belum. The PSPC takes its role as the custodian of the state park seriously. But what about Temengor, where logging and fish farming are permissible? The water line of Temengor is punctuated by timber barges and a collection depot for fish farm operators. 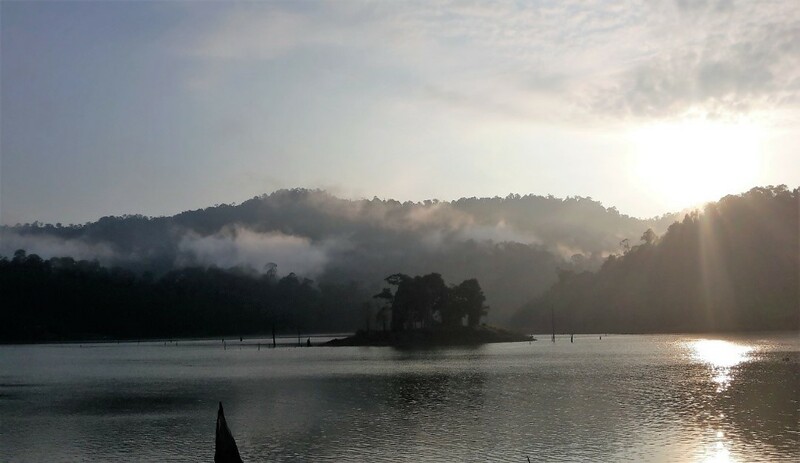 The visual impact is somewhat at odds with Temengor’s reputation as an ecotourism destination. Tourist entry is unrestricted, since there are no agencies designated for its environmental protection. The root cause of the problem: the distinct institutional arrangements for Royal Belum and Temengor, despite the fact that the two localities are geographically proximate with near identical characteristics. This dual governance structure resulted when one third of the forest reserve was declared the Royal Belum and accorded additional protection. Temengor, however, remains vulnerable to economic exploitation. In the ecotourism context, my study on Belum-Temengor shows that status of forest land, the prioritisation of conservation and the presence of a lead institution significantly affect sustainability. Changes in the governance structure are necessary to overcome the problem, but institutional changes take time. Governance ethos need changing too. There should be more stakeholder engagement, greater transparency and accountability, and better communication. There is also the issue of the indigenous Orang Asli, who have become trespassers when their ancestral lands became protected areas. Environmental degradation from logging activities damaged their traditional livelihood, while tourism has put a strain on their cultural identity. What kind of institutional reforms are necessary to equip the Orang Asli to be stewards of their own environment? What about empowerment – the capacity-building vital to prepare them for the modern economy? Do they necessarily want to participate in the modern economy? How far should Belum-Temengor be developed? Is growth attainable without sacrificing the environment? According to the concept of ecological modernisation, the answer is ‘Yes’. If so, what constitutes the limit of acceptable change, and how should this limit be monitored? In search for these answers, I find myself returning to Belum-Temengor again and again. The long drive to Gerik allows plenty of time for introspection. What purpose does my research really serve? How do I benefit the Orang Asli, apart from the provisions that I bring them when I visit? I suspect I don’t have answers to these questions either. But I am searching, and true to the University’s motto, ancora imparo, I am still learning. 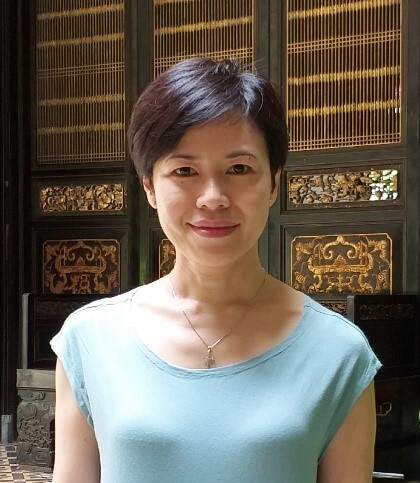 Joo-Ee is a member of the Commission on Environmental, Economic and Social Policy (CEESP), a network of volunteers who contribute to the International Union for Conservation of Nature’s (IUCN) mission of conservation and development.